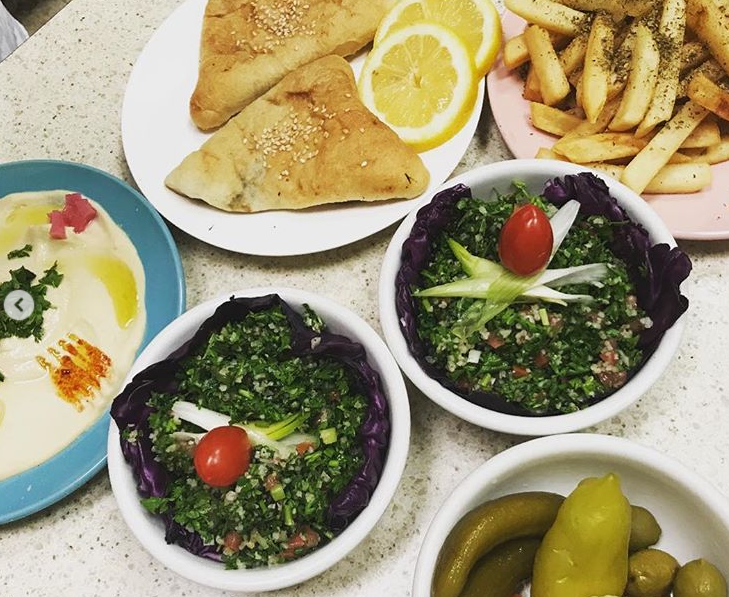 Tucked into the Rockefeller Building downtown, Zuzu’s Meals (614 W. Superior Ave.) is a small Middle Eastern restaurant with a big heart. The café was opened in honor of Zuhair “Zuzu” Jallad, who died last year in a car accident. Zuzu’s mother Kholoud Jallad, with help from family, opened the restaurant last month to honor her son’s wishes to someday open a restaurant of his own. In the morning, the modest breakfast and lunch café dishes up scrambled eggs, frittatas with parsley and a variety of man’oushe, warm housemade flatbreads seasoned with olive oil and za’atar, topped with cheese, or slathered with creamy labneh (yogurt). The lunch menu offers starters like hummus and baba with pita, fresh-baked spinach pies, and seasoned rice-stuffed grape leaves. There is lentil soup, tabbouleh and fattoush salad. Deep-fried falafel, shish tawook and chicken shawarma are available as sandwiches in housemade flatbread or in platter form with vermicelli rice, tahini sauce and a choice of sides. Sandwiches come with fries seasoned with olive oil, herbs and sesame seeds. For dessert there’s homemade baklava and harissa, a Middle Eastern semolina cake flavored with rose water and topped with ground pistachio and sugar syrup.